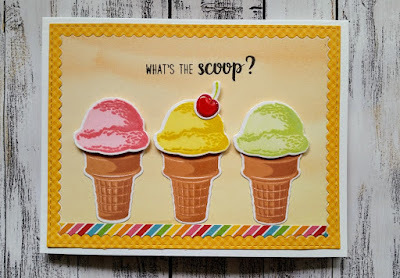 I have a couple of cards to share that I created using the fun stamps and dies from Sunny Studio Stamps. I just love the realistic effect of these stamps. They all look good enough to eat! 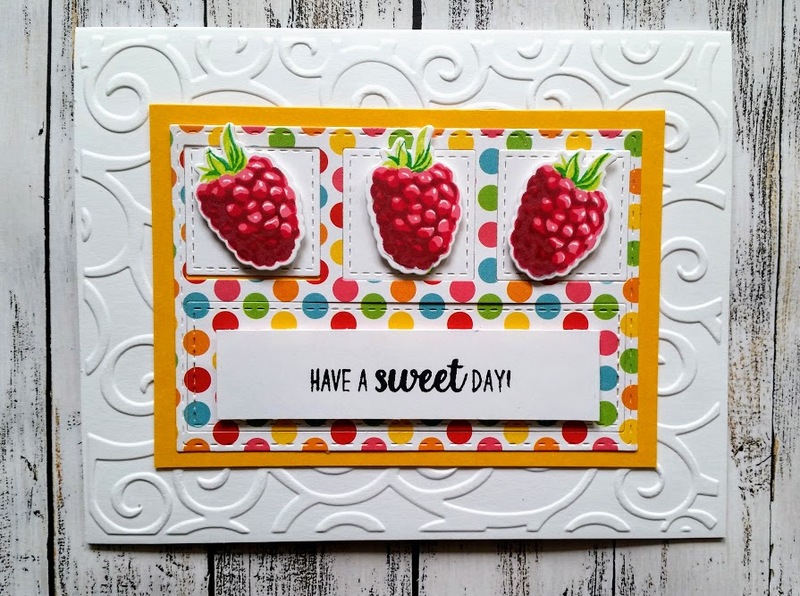 For my first card I used the Sunny Studio Two Scoops stamp and die set. I stamped the ice cream scoops and cones in 3 different ink colours and gave each of the scoops a bit of Wink of Stella sparkle. I die cut a frame from some patterened paper and foam mounted the cones to a background of Lawn Fawn paper. Added the sentiment to complete this card. 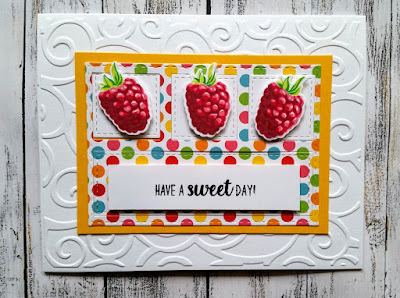 For my second card I used the Sunny Studio Berry Bliss stamp and die set. I embossed the base of the card with a Cuttlebug embossing folder. I used a MFT Die-namics frame die and some patterned paper to make the frame. Added white squares behind each raspberry and popped them up with some foam tape. Stamped the sentiment and that's it for this card.